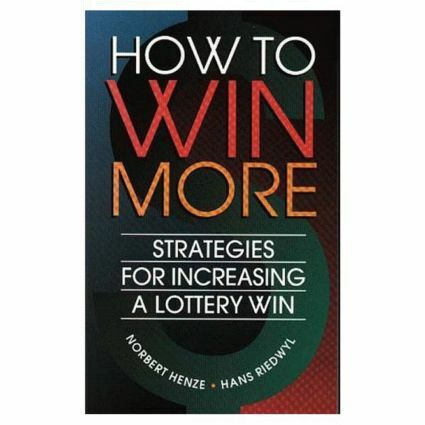 This book is designed to provide valuable insight into how to improve the return on your investment when playing the lottery. While it does not promise that you will win more often, it does show you how to improve the odds of winning larger amounts when your numbers do come up. So, when you do win that million-dollar jackpot, you will be less likely to have to share it with anyone else. Among the intriguing topics covered are the most popular (and the most foolish) combinations of numbers, why it is impossible to improve the odds of any legitimate lottery, how popular (and thus unprofitable) an attractive-looking ticket might be, why not to follow the suggested numbers from so-called "expert advisors" and why it is important to avoid winning combinations of past drawings. With this book and a little luck, the dream of winning millions might just come true. If you decide to read this book, I think that you will enjoy it; and my only request is that you remember me when you put its principles into practice. I would appreciate a little commission.